So much has changed since this race was planned and produced by the City of Orlando in 1977 and yet there are common threads that run through the event after 40 years. Back then, races were hand timed and results were produced on index ‘finish cards’ by an army of volunteers with neat handwriting! It could take hours to find one’s finish time and place. As technology evolved so did more accurate scoring. One of the biggest differences from 1977 to 2016 is that runners’ progress can be tracked mile-by-mile by their fans and followers worldwide using ultra-modern technology and a scoring system that produces results almost instantly! Medals, like technology, have evolved. The bigger the bling, the bigger the smiles! The entertainment along the course motivated the runners and city residents came out in force holding signs, ringing cowbells and encouraging everyone! Still in the City Beautiful, the OUC Orlando Half Marathon is still a great hometown race known for its mild climate and fast times that attract competitive runners from around Florida and the US. It’s beginner-friendly, relatively flat and just enough brick streets to be charming. In 1977 three young Central Floridians ran their first local half marathon. In 2016, these same three are 40 year streakers, an accepted term in the running world! 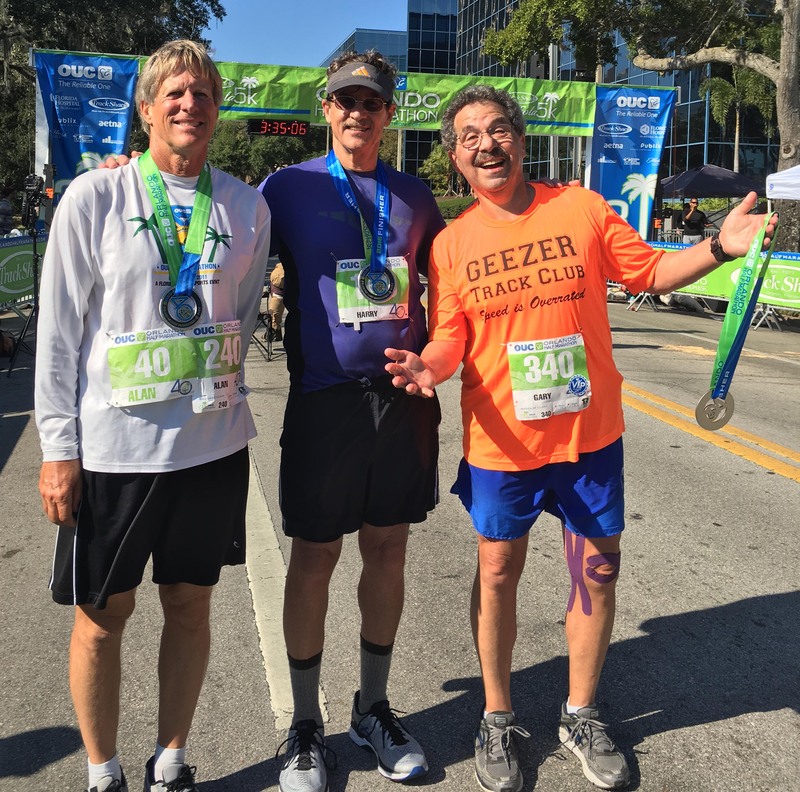 On Saturday, Harry Wessel, Alan Musante and Gary Kane kept their streak alive by completing all 40 OUC Orlando Half Marathon races! Read our blog series 40 Years of “Why”. 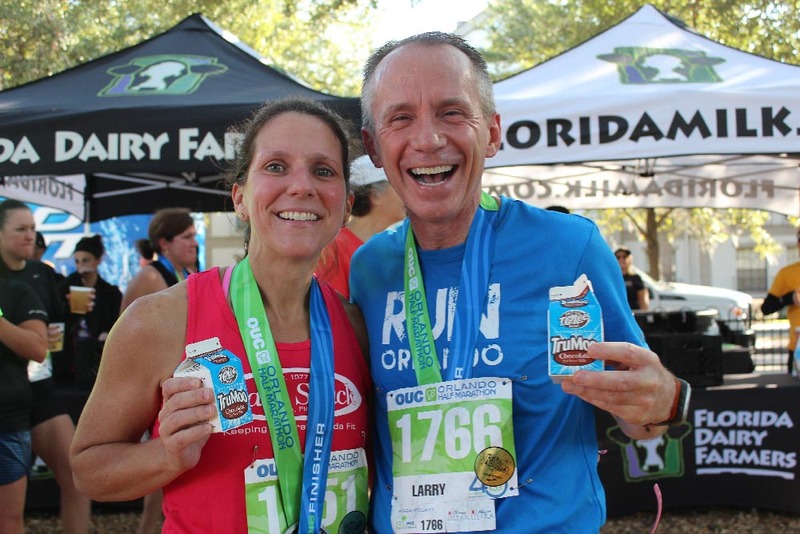 Congratulations to all the finishers from the 40th OUC Orlando Half Marathon and Track Shack Lake Eola 5k! *Designated USATF – Florida Association state half marathon champions. 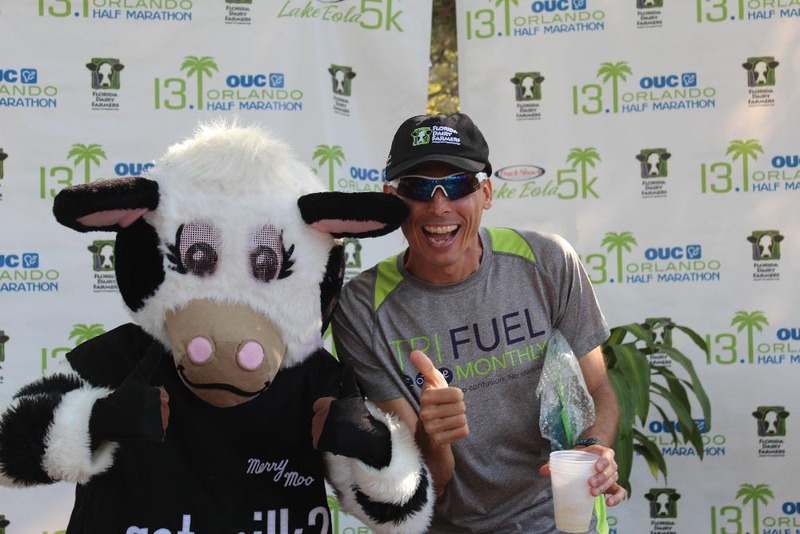 It’s a big year in Central Florida running that has been made possible through the generous contributions from our sponsors OUC, Florida Hospital, Publix, Florida Dairy Farmers, Aetna, Michelob Ultra and Downtown Orlando. The OUC Orlando Half Marathon was the first 40th running event, kicking off an upcoming year of more to come. Lady Track Shack 5k and Winter Park Road Race 10k both celebrate their 40th anniversaries in 2017. Track Shack of Orlando, celebrates 40 years of business in 2017. Our Celebration of Running 5k in August, is the first event of the 40th Annual Track Shack Running Series! We are proud of this legacy in our thriving Central Florida Community. In 2016, Orlando came together after a tremendous tragedy. As we remember this event, let’s run or walk side by side for the next 40 years.